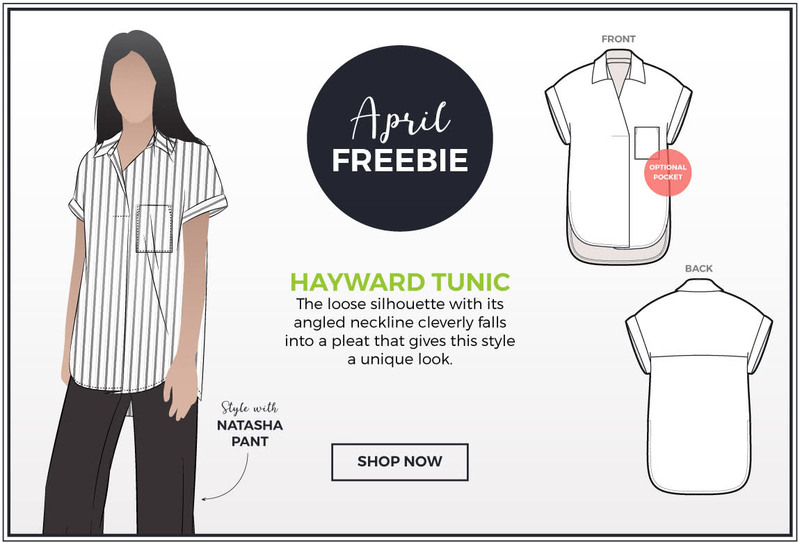 Today we’re excited to launch our April freebie sewing pattern, the fabulous new Hayward Tunic! This gorgeous new tunic sewing pattern for women is available in Hard Copy Single Size, Hard Copy Multi-size, PDF Single Size and PDF Multi-size. 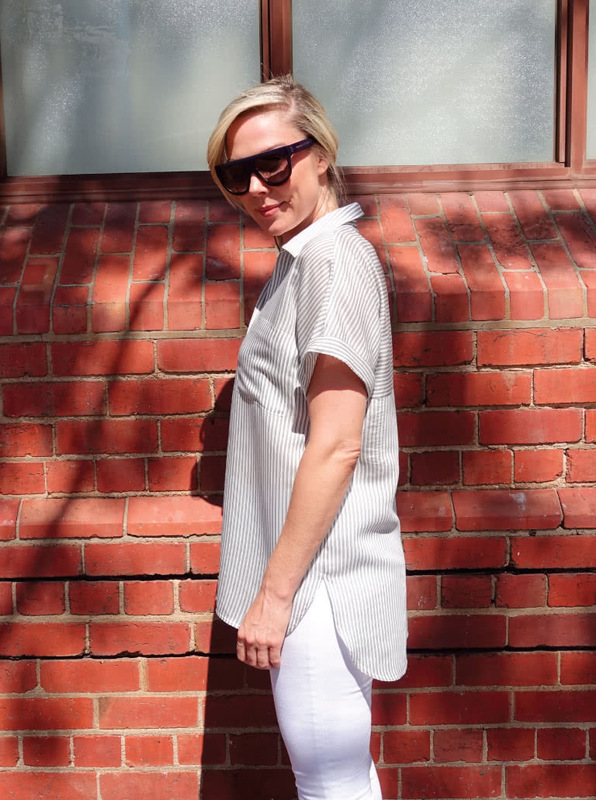 You will love this easy long line tunic with its high low hem. The loose silhouette makes it a comfy style and the angled neckline falls cleverly into a pleat which gives it a unique look. 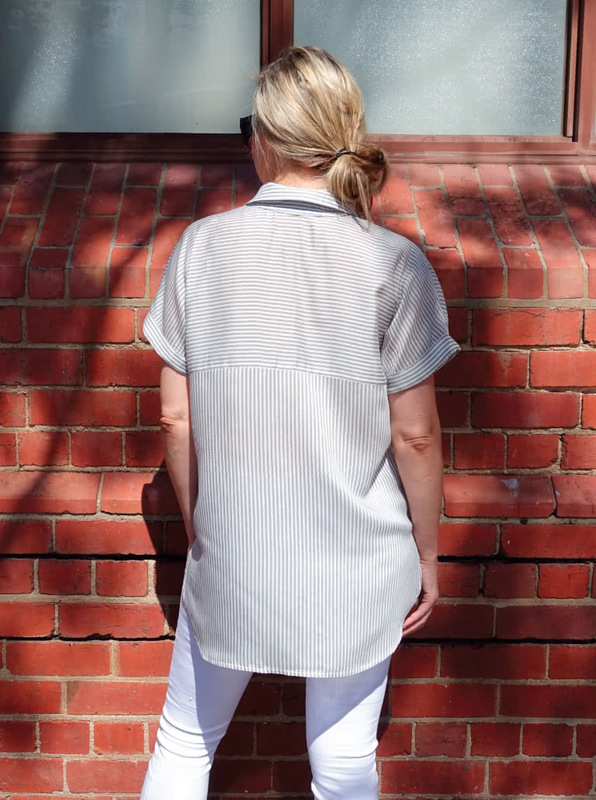 The deep back yoke adds interest to this versatile piece that will become a wardrobe staple. We made our sample in a cotton rayon stripe from the Super Cheap Fabric store. There are details on where to purchase their lovely linens, cottons, and rayon blends at the bottom of this newsletter. Every month at Style Arc we offer two freebie patterns to choose from when you shop at www.stylearc.com. 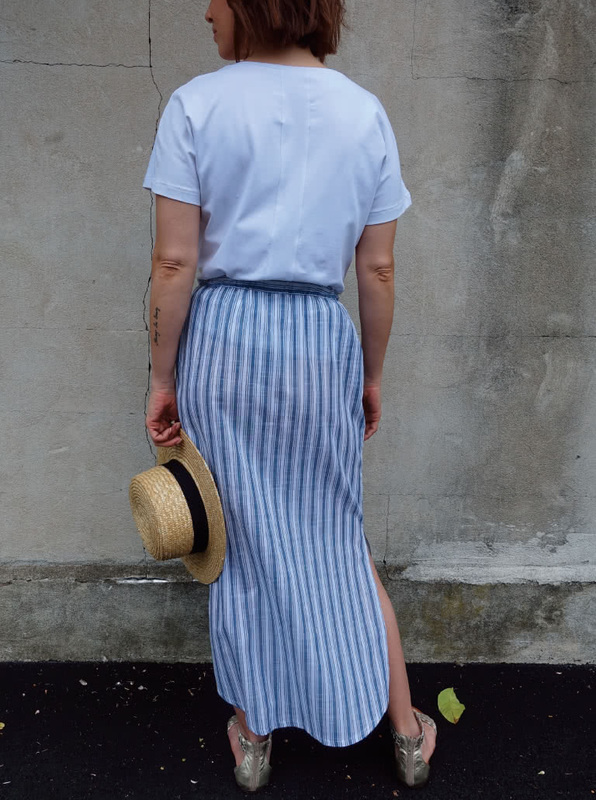 Our other wonderful freebie to choose from is our Indigo Skirt sewing pattern, which is available in Hard Copy Single Size, Hard Copy Multi-size, PDF Single Size and PDF Multi-size. This maxi skirt also plays on hemlines. This easy-to-sew pattern has all the features you want in a maxi skirt sewing pattern plus a partial elastic waist, patch pockets, faux button opening and side splits. To gain your freebie, you need to purchase a pattern at www.stylearc.com and once in your cart, select your freebie of choice and click the coupon to get your freebie pattern for free! Some lovely fabrics at Super Cheap Fabrics that will look good made up in our April freebies are their linens, cottons and rayons.